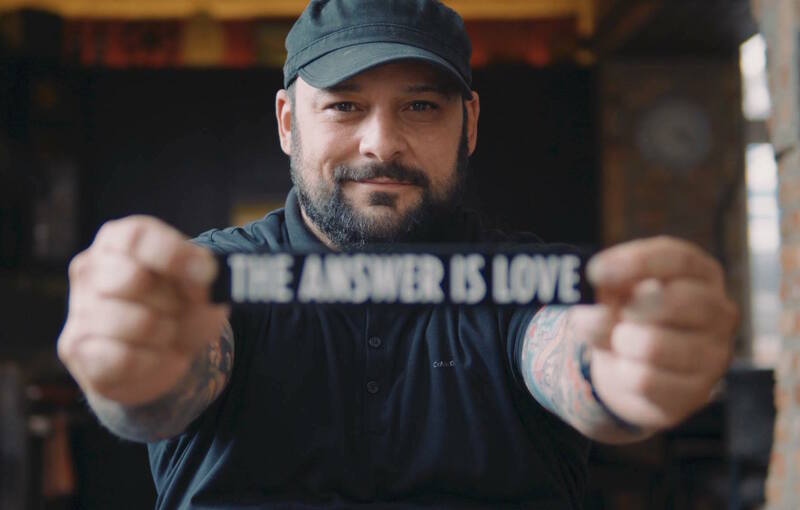 Come to “The Search: Identity, Community, and Purpose” on Sunday, November 4 at the Winsor School and hear Christian Picciolini, former neo-Nazi turned peace advocate and TEDx speaker, and participate in a variety of thought-provoking and creative workshops. Let’s face it: we’re always on the search for identities that fit, a community that embraces us, and a sense of purpose to guide us. You won’t want to miss this special new event — and you might be surprised by what you learn about yourself along the way. For more information, watch your inbox or contact Becca. It’s getting down to the wire here, folks. It’s almost your last chance to nominate someone for a Chai in the Hub award! This event recognizes the young adults who work to make our community a better place, and we are counting on you to tell us who they are. Fill out this fabulously easy form by Thursday, October 11, and mark your calendar for the party of the year on Saturday, February 9, 2019. Congratulations to Lara Freishtat and Ari Freisinger, recipients of our Circle of Excellence Young Leadership Awards! We honored them last night at From Strength to Strength— an event to celebrate CJP's 2018 Annual Campaign (a huge success thanks to many of YOU!) and kick off our 2019 Annual Campaign. We’re so proud of you, Lara and Ari! Want to learn more about CJP and Jewish Boston, make some new friends, and explore this special city? Join LEADS: a comfortable, social, nine-session introduction to all the amazing things that the Greater Boston Jewish community has to offer. The cost for this whole program is now just $36 and registration is open! Half of the fee goes to the program and the other half goes to our Annual Campaign. For more info, contact Meghan. Israeli artist Hanoch Piven, known for his whimsical portraits made of household objects, will lead us in a creative exploration of identity and connection to Israel on Thursday, November 1. We’ll roll up our sleeves and transform household items into our very own collages. Come with an open mind and leave with new friends, new perspectives, and a masterpiece to call your own. Contact Matty for more info. For anyone involved with healthcare, this event is for you! Head to the Royal Sonesta Boston on Sunday, December 2 for the Health Professions Annual Breakfast, where we'll honor Harris A. Berman, M.D., FACP. You'll hear from keynote speaker, The Honorable David J. Shulkin, M.D., who will discuss "A Look at Innovations in Healthcare Delivery." Mingle, listen, and learn with your community. You can also attend the Health Innovations Network pre-reception and join a special post-reception for young adults. Stay tuned for registration details and contact Jeremy for information about the post-reception. This winter, escape the Boston cold and journey to sunny Israel! If you haven’t experienced Birthright already, now is the time to go. Registration is open for two CJP trips: one for 22-26 year olds, and another (new!) one for 27-32 year olds. Don’t miss this opportunity to eat good food, learn about Israel, and make new friends. For more info, contact Karen. Join Congregation Kehillath Israel in Brookline every Friday in October. Head on over at 6:00 p.m. Friday, October 5 for KICKS Kabbalat Shabbat, a free service followed by an oneg (yum)! Be part of a warm community of spiritually-engaged Jews. They welcome new faces and people of all ages, backgrounds, genders, and orientations. Don’t miss the Tag Meir (Light Tag) Coalition’s new photography exhibit, “Lighting the Way,” which opens on Tuesday, October 9 at Temple Beth Zion in Brookline. The images showcase demonstrations, meetings, and vigils held to combat hate crimes and racial violence in Israel. The evening will feature messages and words from Tag Meir’s founder and New Israel Fund’s vice president. Enjoy live music, wine, and refreshments. Join New England Yachad for a fun and supportive bi-weekly group for adults with disabilities ages 18+ focused on learning and practicing self-advocacy skills. The first session is Wednesday, October 10 and dinner is included. Sign up for the full series or drop in per session. Contact Yaffa Tilles with any questions. Does Judaism have value in 2018? Is God real? Does hell exist for Jews? What should Israel mean to me? This fall, Yisod and Eser are partnering to offer a rare discussion-based learning opportunity at Temple Emanuel in Newton with Rav Hazzan Aliza Berger, which includes eight learning sessions and a Shabbat dinner. The first class is on Thursday, October 11 and space is limited, so register now to save your spot. Ever find yourself having difficult conversations about Israel but don’t know exactly what to say? ZOA’s Fuel for Truth is here to help. Gain facts, skills, and confidence by enrolling in a free seven-class boot camp program. Participate in mock social simulations, dissect current and historical issues, and schmooze at a local bar following each session. Kosher dinner will be served. Head over on Tuesday, October 16 for the first meeting! Get dirty with young professionals with The Vilna Shul and JCAM! Give back to the Jewish community by contributing to the restoration and renovation of a historic Jewish cemetery, Ohavi Sedeck in West Roxbury. Learn about its importance in Boston Jewish history, explore who is buried there, and take part in a community clean up. This free event takes place on Sunday, October 21. Head to the Somerville Theatre on Thursday, November 7 for Boston Jewish Film Festival's Annual FreshFlix Short Film Competition! This year, there are seven amazing films to see, a filmmaker Q+A to attend, and a post-screening party to join. A jury of young professionals carefully selected films from Israel, the USA, and the UK. Ready for a honeymoon? Look no further. Applications are open until Monday, October 15 for two Honeymoon Israel Boston trips, one in May and one in September of 2019. Experience nine unforgettable days with your partner and 19 other couples from the Boston community. Check out the Guide to the Application for more information. Participants of diverse backgrounds welcome, including interfaith and LGBTQ couples. For help with any questions, contact boston@honeymoonisrael.org. Sorry, not sorry? Think again. Listen to Jewish Boston’s latest The Vibe of the Tribe segment, “The Art of Apologizing” and rediscover what makes apologizing so meaningful and important. This free podcast is something to watch for and listen to, The Vibe of the Tribe comes out weekly and explores a variety of Jewish cultural and religious topics. Check them out! Wow, what a whirlwind of holidays we celebrated last month! Here’s when to light your Shabbat candles in October. Pumpkin scented candles, we hope. Friday, October 5 | 6:00 p.m.
Friday, October 12 | 5:48 p.m.
Friday, October 19 | 5:37 p.m.
Friday, October 26 | 5:26 p.m.